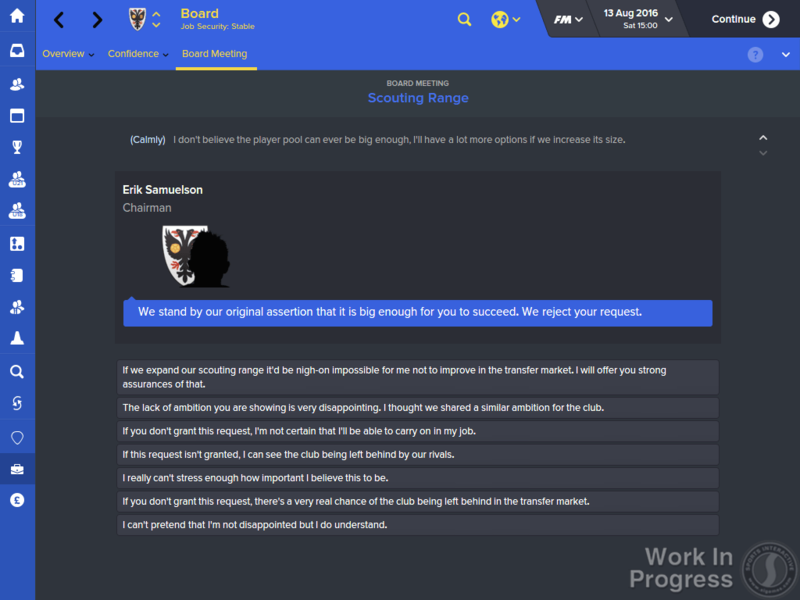 There might be a Football Manager overload this year as Sports Interactive get ready to release three distinct versions of the venerable football management sim. Your needs will be met, whether you are a PC gamer, mobile user or prefer to play your games on a tablet. What’s it all about then? Read on to find out more. Really, everything you need to know is covered in the following infographic, take a look! A simple, and to the point, infographic. 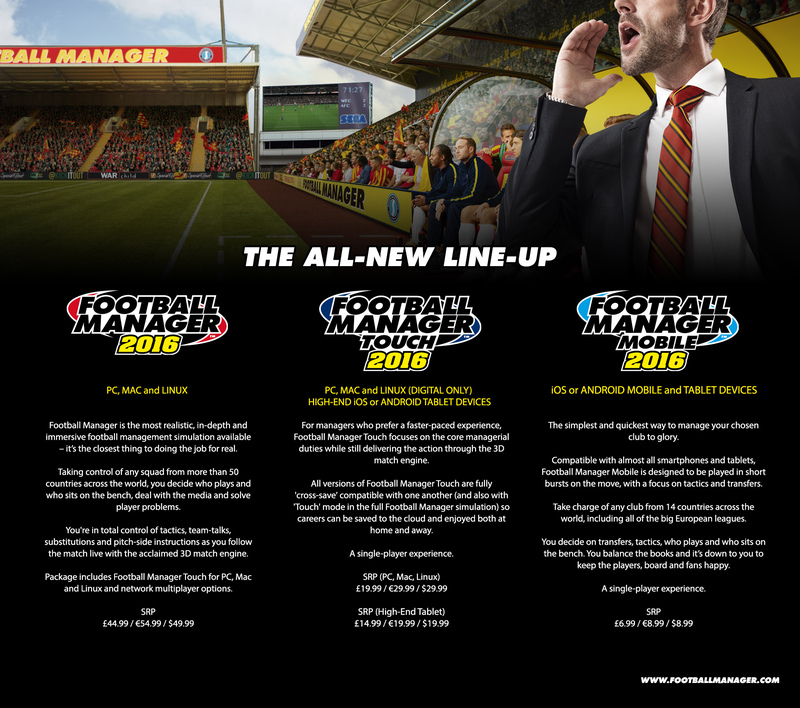 The long and short is that Football Manager 2016 that will be released for PC, Mac and Penguins (read – Linux) will be your full game and will come bundled with Football Manager 2016: Touch. Now you see, Touch is effectively the ‘Classic’ game mode that has been found in recent editions of the game now also available as a standalone purchase for the PC platforms along with high-end tablets. Important to note, your tablet experience is cross-save enabled with your PC version of your Touch game. Finally, you have Mobile which is the equivalent of the recent Handheld versions of the game. Now we are all up to date, I’m going to talk about the core Football Manager experience that we will be getting our hands on later this year. Create-a-club, the easy option for those who don’t like the Editor. One of the main additions that is incoming is picture above, this is the create-a-club mode. 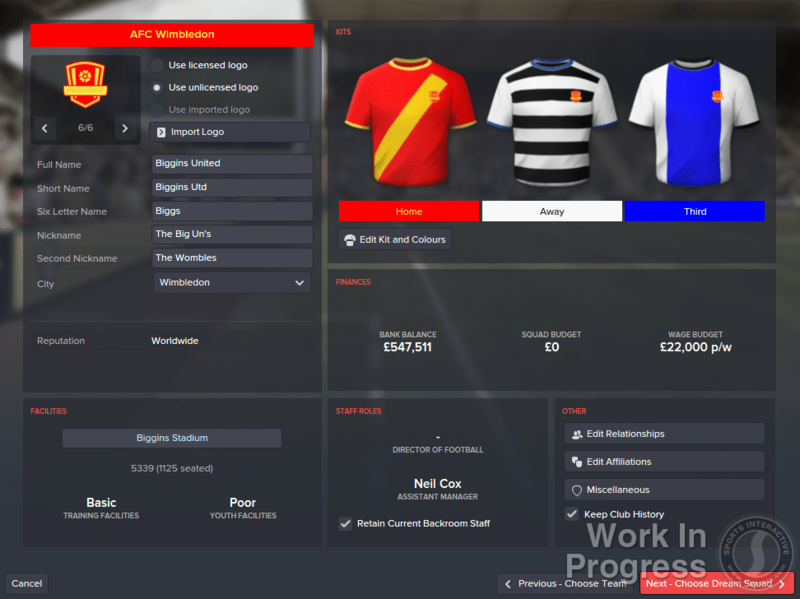 This looks set up to be a quick and easy way of making your own customised club, a club you can add to any league of your choosing where you can also add yourself to the teamsheet, or even make a dream team of your own choosing. It sounds like it will take some elements of the game that have previously been confined to the Editor, and making them accessible to everyone. I have no doubt it will be a massive hit with most users, but I can’t imagine it will offer the depth of choice some of us might want. I for one have dabbled in the Editor for years now. I even turned to the Editor for last year’s edition to spice things up a bit. I didn’t get along with the core game that well at launch, but by returning via the Editor, I’ve found a new love for the game through my Cardiff Met side which I dragged out of the lower Welsh leagues into the Welsh premiership. Great fun! Do we get a snazzy song to go with Draft Day? It looks like the traditional American Football idea of drafting players who leave college onto teams is making its way over to (real) football games. 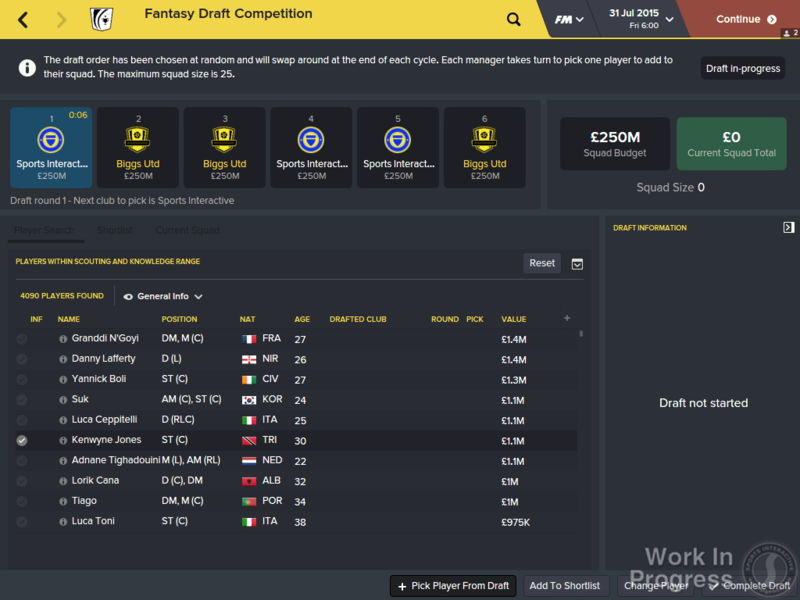 I know the new FIFA has a Fantasy Draft mode, and now, so does Football Manager. You will compete with other managers to build a squad from scratch based on a predefined talent pool, and compete in a mini-league together. That’s great in principle, but I want to know if this mode will work in singleplayer? I don’t have time to find a bunch of friends able to play Football Manager at the same time to make this work. Great idea though for those who have the time. 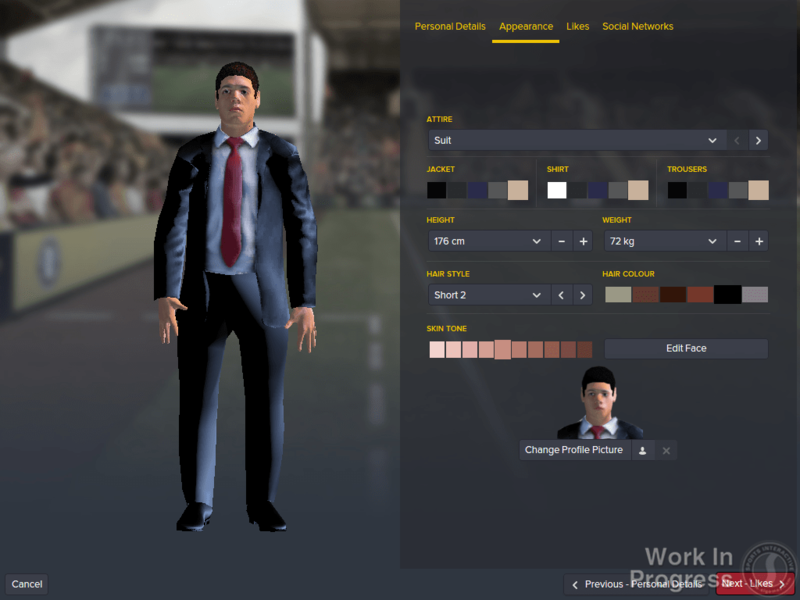 Something that I’m not sold on here, the chance to create a virtual you that will appear in the 3D match engine. A touch gimmicky for my liking. I won’t invest the time in this…unless it is to make crazy set-pieces! Of course, there will be a raft of other improvements. The set-piece creator is one of them, promising ever greater depth of customisation. Elsewhere, the 3D match engine has been improved with 2,000 new animations. I hope they have fixed the goalkeeper blunders which blighted last year’s release in the early days. You are also promised more stats along with in-depth match analysis provided by Prozone. Sports Interactive are also promising revised and revamped interactions with your board along with an improved financial model. Great in theory, as these are the elements I love to pay attention to when I take on my usual challenge of improving the reputation of the Welsh league system. I’m not filled with confidence though when the above screenshot doesn’t appear to offer anything improved over last year’s game. 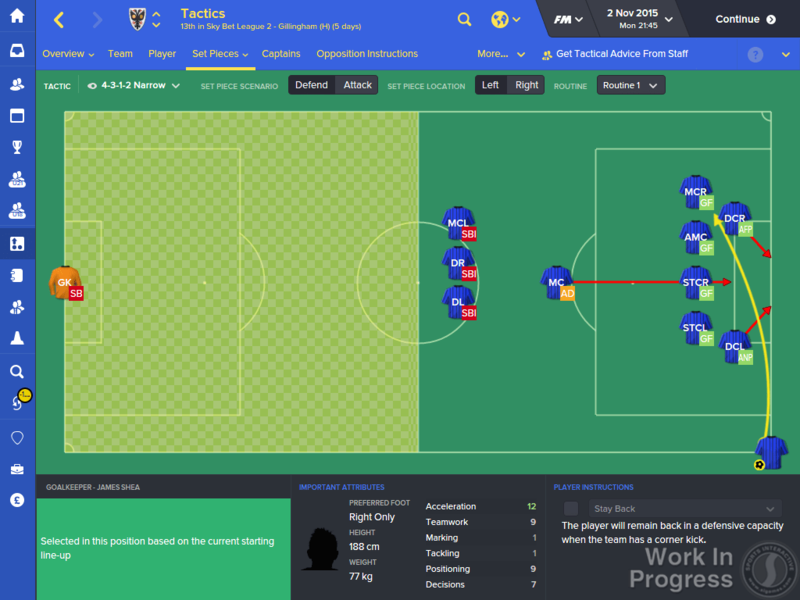 If you want a more detailed low-down on the new features that are being revealed, head over to the official Football Manager 2016 feature site for details, screenshots and brief videos. Over the coming weeks, studio head Miles Jacobson (@milesSI) and the official Football Manager Twitter account (@FootballManager) will also be revealing new tidbits. Excited? Personally, I’m intrigued by some of the wide scale changes and additions, but I’m not convinced they will add much to the game based on how I play it these days. I’m sure the pre-release Beta will help me firm up some thoughts.